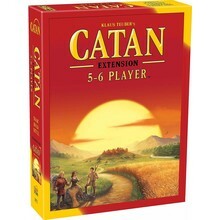 Requires ownership of Settlers of Catan to play. Dark clouds are gathering over the peaceful island of Catan. 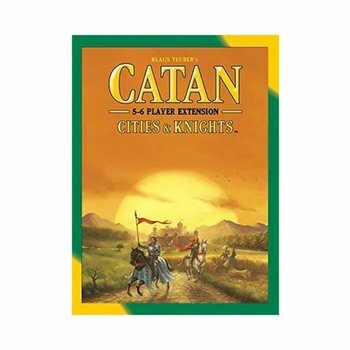 Wild barbarians, attracted by the wealth of Catan, sailed to attack the country. 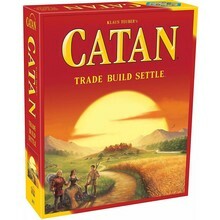 Fortunately, warning has given Catan time to meet the danger. The size of the barbarian army corresponds to the number of cities in Catan. 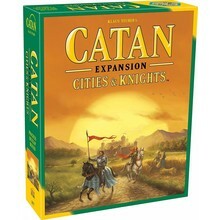 Thus, for Catan to fend off the barbarian attack, the players must form a knight force as strong as the barbarian force. 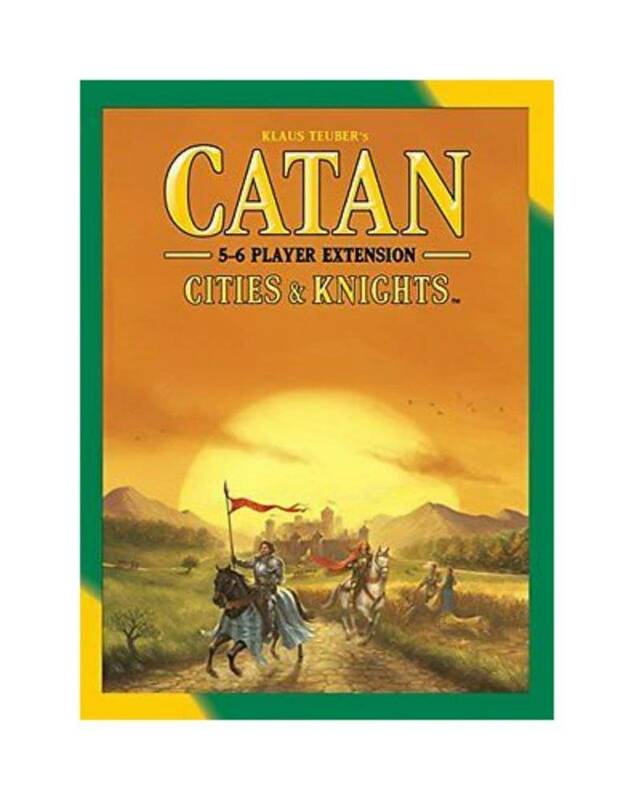 In addition to the barbarians, players compete to build the three great metropolises of Catan. Each of these magnificent centers are worth two additional victory points. To build a metropolis, players must invest in city improvements. To acquire these improvements, players must acquire the three new types of Trade Cards: Coinage, Paper, and Cloth. These cards can only be gained by building a city next to mountain, forest, or pasture hexes.